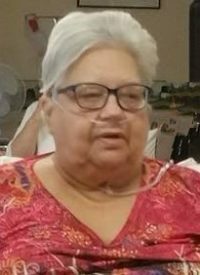 Mary J. Lantz – 79 – of 6886 Turnpike Rd., Hornell, died Sunday evening (December 2, 2018) at the Steuben Center for Rehabilitation & Healthcare in Bath, following a long illness. Born in Andover, NY on August 9, 1939, she was the daughter of Harold & Thelma (Youngs) Loper. Mary grew up in the Hornell – Canisteo area and attended Canisteo Central School. In her younger years, Mary had been employed at the former Bethesda Hospital and also at Hornell Gardens. For many years she served as a Private Duty Health Care Provider in the Hornell, Canisteo & Almond areas. She enjoyed cooking, baking and spending time in the kitchen providing delicious meals for her family. Mary was married on November 23, 1957 to Jacob G. Lantz who survives. Also surviving are her son, Richard “Rich” Lantz; 3 brothers, Kenneth Loper of Hornell, Robert Loper of Alvarado, TX and Harold “Cookie” Loper of Hornell; 4 granddaughters, Melissa (Theron) Wagner of Olean, Samantha “Sam” Lantz of Waterbury, CT, Kelsey Lantz of New Castle, PA and Sabrina Lantz of Buffalo; 2 grandsons, Jacob Lantz of Long Island and Kollin Lantz of Hornell; 6 great-grandchildren; several nieces & nephews. At Mary’s request there will be no calling hours. Private services will be held at the convenience of the family. Mary’s family request that in lieu of flowers, memorial contributions in her name be made to the American Lung Association, 1595 Elmwood Ave., Rochester, NY 14620. So sorry for your loss! My Condolences to you and your family!! Uncle Jake and Richie I’m so sorry to hear of Marys passing.I remember how good she was to me when I was a child.All of you are in my thoughts and prayers. I am so very sorry for your loss. She was a wonderful person and I am thankful I got the chance to not only take care of her but to share a close bond with her. I miss her terribly and I will always remember her and the many heary to heart conversations we shared.